Things “NOT” to do in Phuket! In short. If you care for Animals at all, then anything on this island that uses them as entertainment is an absolute no go. 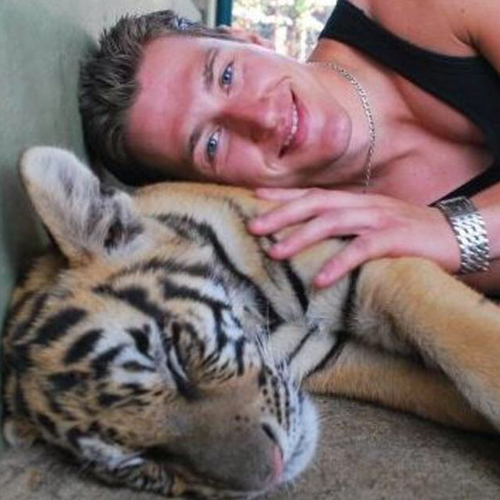 Sure, a profile pic with you posing next to a tiger will make you look all cool on Facebook, but in reality that tiger is pumped up with so many drugs, it has no clue where it is or what’s happening. How brave! Here is a list of some of the worst places you definitely need to cross out from your itinerary while in Phuket. And don’t just take our word for it. A little research online is bound to shock you. Ah, how glorifying and yet how misleading! The Tiger Temple, supposedly a “sanctuary” and a haven for Tigers, but in reality, far from it. If anything it’s the opposite. 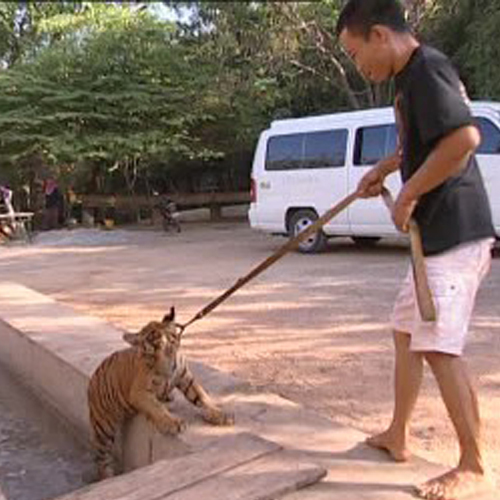 The tigers here are bred illegally and in captivity just so they can be used to make some money from the tourists. 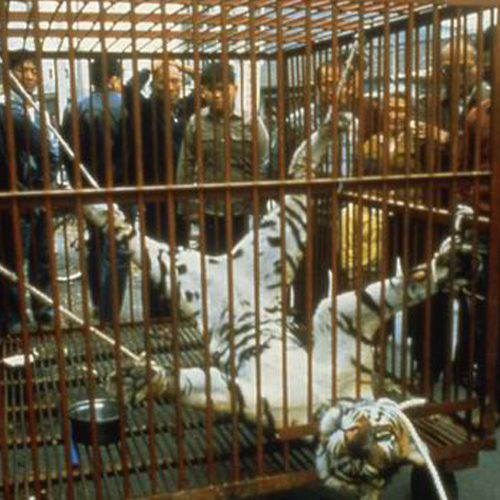 Chained up for most of their lives and drugged every single day, the Tigers here are not born docile, they are made so. 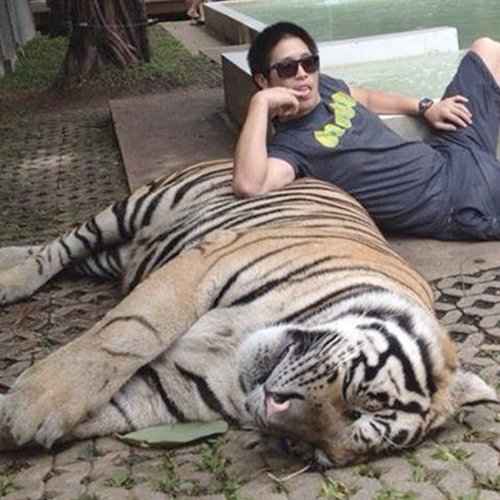 In this temple, the dazed, confused and suffering Tigers become pussycats that the ignorant tourists can snuggle up to and have some ego boosting selfies with. The Tiger Temple in Bangkok was even recently raided due to rumours spreading about tigers having gone missing and being sold on the black market for body parts like teeth, skin etc. Among the many incriminating items, can you guess what else they unearthed during the raid? 40 tiger cubs. Dead. 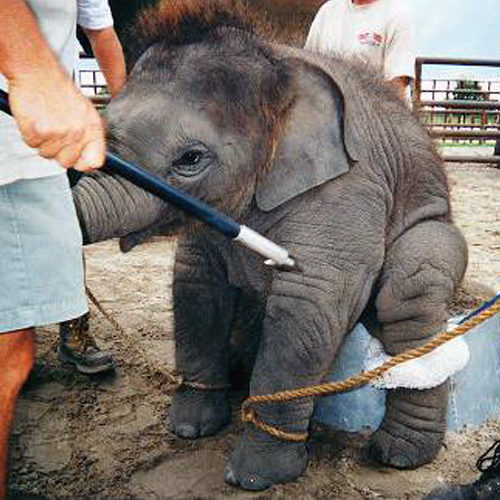 You Are Paying For Animal Torture! The money from your pocket is what keeps such businesses up and running. Once the tiger gets too old as a tourist attraction or simply dies off from all the constant torture, it’s just dumped somewhere before trafficking in a new one. If this was indeed an eye-opener for you, then it’s time to stop obsessing over the selfies and instead start self-reflecting on the inhumanity that your money will end up sponsoring. 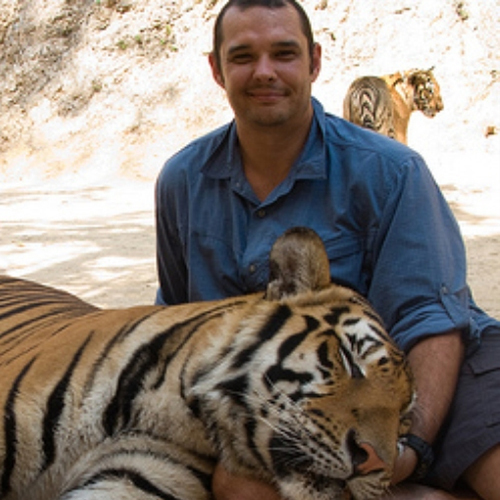 ⦁ These hand-reared tigers can never survive in the wild. ⦁ Adult tigers are caged and isolated 24 hours a day, except for photographs. ⦁ Tigers often found to be nervous and pacing to and fro. 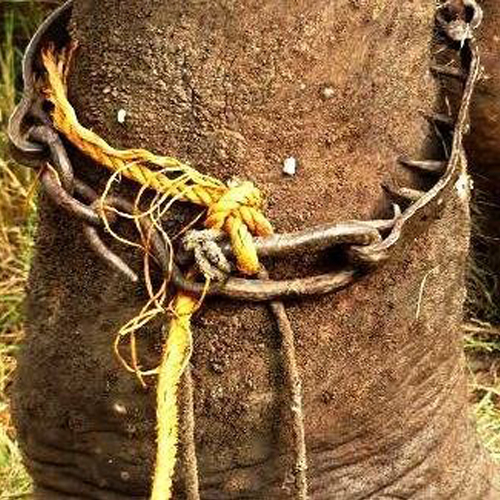 Elephants being Thailand’s national animal, one would expect them to be protected and respected. The truth of the matter, however, is quite different. The Asian elephants are an endangered species and experts now estimate there to be less than 2000 wild elephants currently living in the Kingdom of Thailand. Their population is dwindling at a rapid rate, all thanks to the loss of their natural habitat and the poaching that these Elephant attraction rackets encourages. We know it’s fun riding through the jungles of Thailand on the backs of these magnificent animals, but what you should know is that these Elephants are ‘specially’ trained to do so. 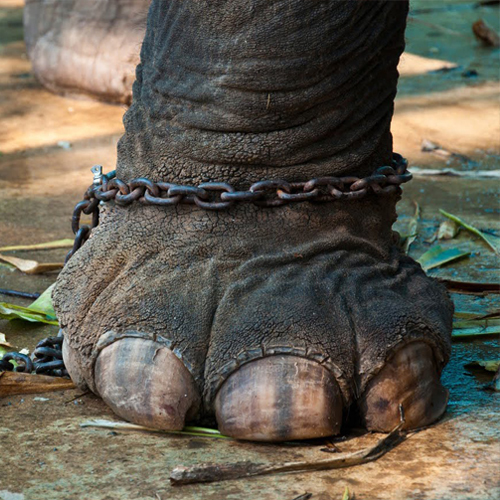 The training method is aptly called ‘Phajaan’ or simply put ‘Elephant crushing’, which is to beat, stab and starve them into submission right from a very young age. Instilling the fear of pain and suffering into these giants the spirit of the elephant is finally crushed just so you can sit proudly on its back and have your fake adventure ride. ⦁ Guaranteed torture from an early age! ⦁ Unlivable confined spaces for habitat! ⦁ Beaten and stabbed into submission! ⦁ Fear is the main motivation for work! ⦁ Starvation and sleep deprivation as reward! ⦁ Finally a meek animal with a crushed spirit. 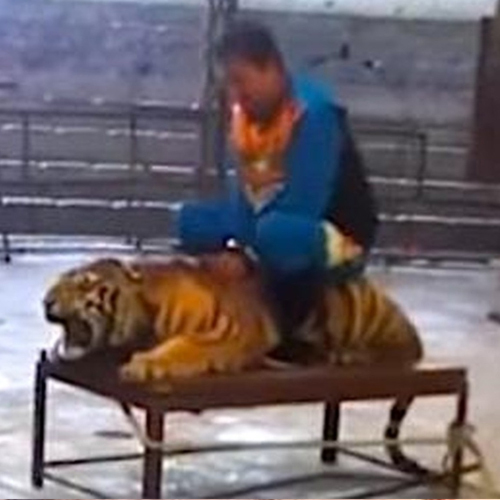 Unlike the Tiger Temple issue, there is a solution to this cruelty. You can still visit and interact with elephants at an authentic natural sanctuary. Elephant Nature Park (ENP) in the pristine jungles of northern Thailand is one option for an unforgettable experience with these gentle giants. Their mission is to protect and care for the mistreated and ailing elephants rescued from the tourism and logging industry rackets, like the ones in Phuket. The 250 acres of undisturbed wilderness in the park is currently home for 36 happy elephants. 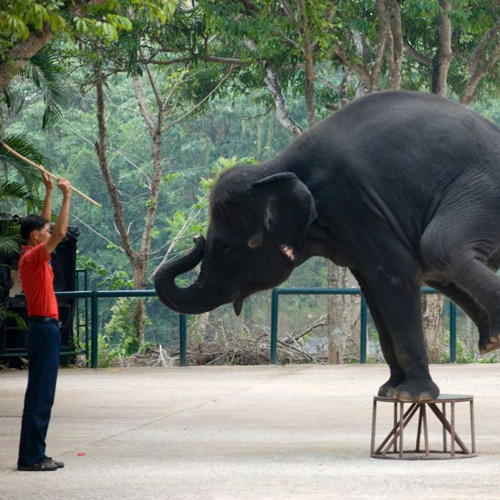 There are no elephant rides being sold at the Elephant Nature Park nor are there elephant paintings or any other circus tricks and shows here. There is no bullying of the elephants of any sort. A life of peace to the rescued Elephants is what the nature park promises. There is now an Elephant Sanctuary in Phuket, if you want to see Elephants up close then please go here: visit their website for more information. 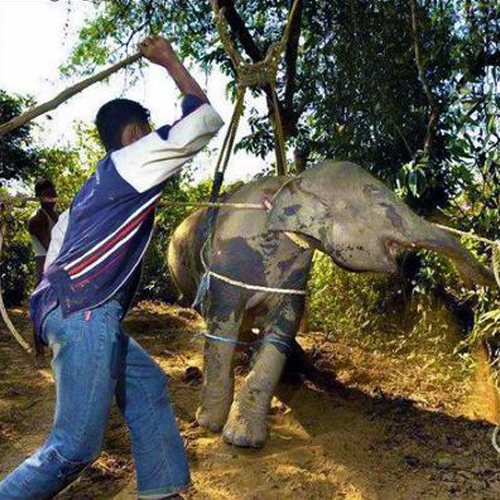 Whereas the rest of the world in an act of kindness and concern are closing down these types of inhuman attractions, Phuket apathetically decided to open one. But you can never escape karma, can you? 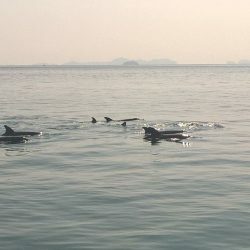 Owing to the furious protests and the enormous amount of negative publicity generated during its development process, the Phuket Dolphin Aquarium has been struggling ever since. This prison of an aquarium acquired some of its Dolphins from the hell’s-pit, known as the ‘Cove’. 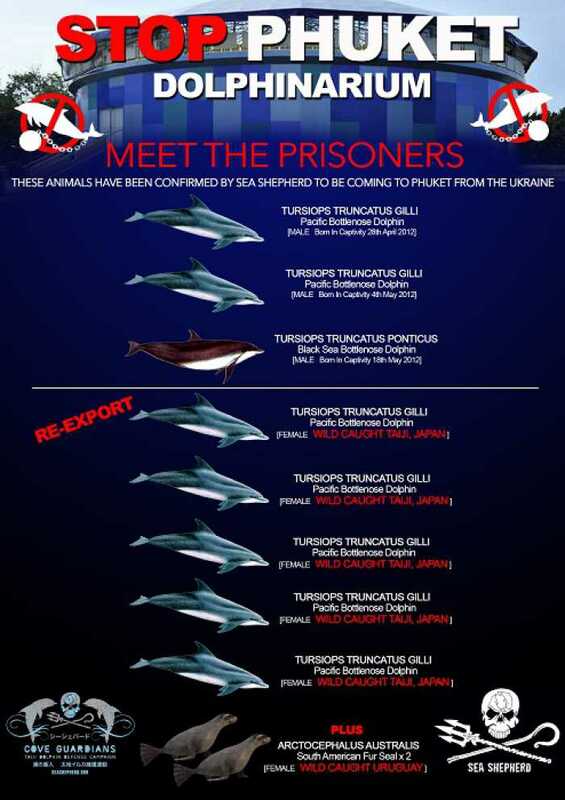 If you’re wondering what the Cove is, it’s going to be an extreme eye-opener. Get ready to be shocked that something as gruesome as this still exists. Or better still, watch this videos below. A single picture can speak more than a thousand words. If you watched the top video, you’ll see how even many of the A-list movie stars are aware of the horrific facts behind the aquarium. They have made a clear stand against this cruel attraction and sincerely hope that you too will realize the truth and oppose such an atrocity. 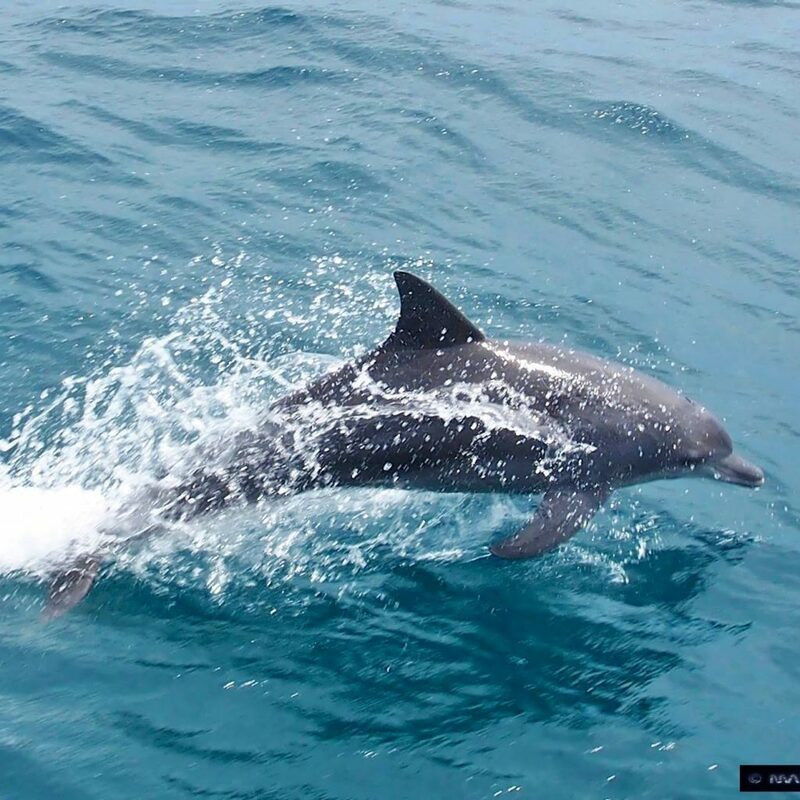 The dolphins in the Phuket Aquarium are from the Taiji Cove in Japan. 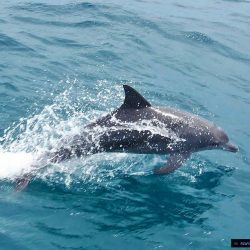 If you really want to see dolphins while on your trip in Phuket, there are plenty of wild dolphins to be spotted right in their natural habitat, the sea! 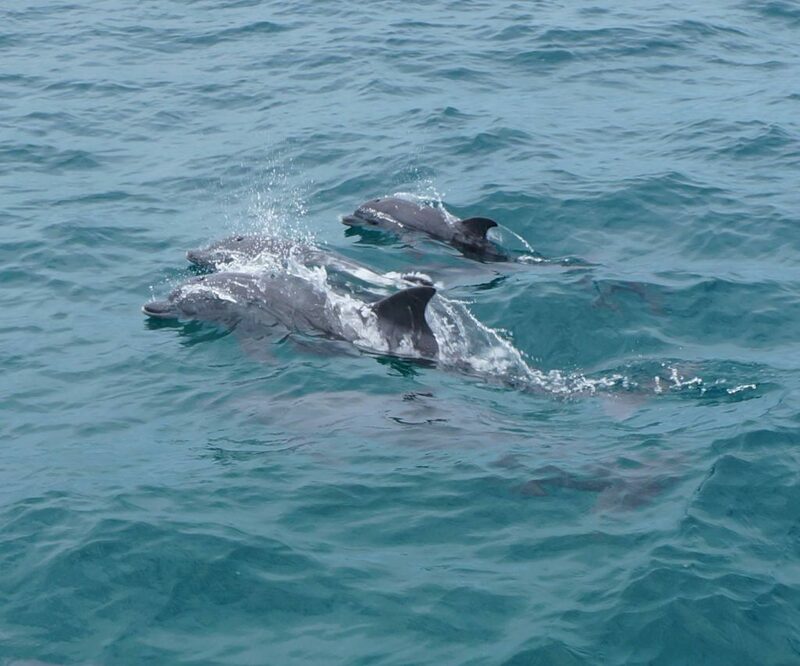 The dolphins love the waters surrounding Phuket and can often be seen coming out to swim and play alongside Phuket’s fastest catamaran – Blue World Safaris. Now most zoos in the western world are governed by laws that protect the welfare of the animals. This happened because over the years, as society grew more compassionate, it’s views too about zoos and holding animals in captivity changed drastically. 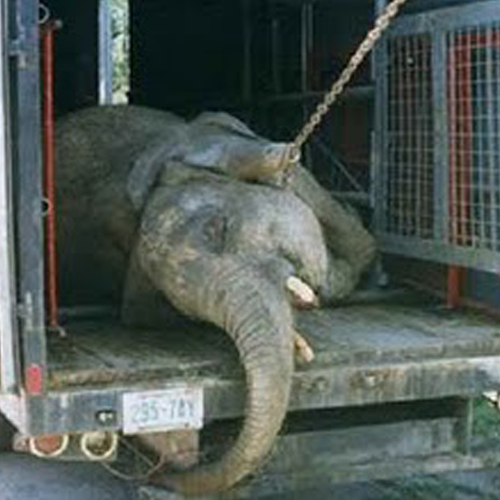 People began to resent the sight of animals pacing nervously back and forth behind bars. The frustration of the caged animals started to weigh down on their conscience and instead of being entertained, the public began to express concern over the welfare of the animals at the zoos. The American Zoo and Aquarium Association (AZA) is just one such example of responsible organizations that speak up for animals rights. In Thailand however, no such organization exists. Even the local concern or awareness for the welfare of any of the animals is little to none. And although the world is now more sensitive to the sufferings of helpless animals, the lure of wild animals in captivity still manages to tempt many of the tourists into making the Phuket zoo a one time visit. It is once you are in there that you feel sick for ever handing over money to be witness to such a repulsive experience. The zoo authorities are well aware of their sadistic endeavour and have strict rules at the zoo to prevent any shocking videos or pictures from coming out. The reviews in their trip advisor page however, says it all. Karma wins again. 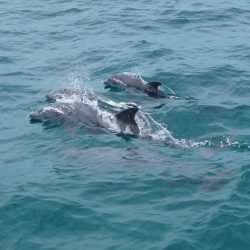 This isn’t really a “not-to-do“ thing in Phuket, but definitely one we believe that is worth a warning. Riding them is fun and the adrenaline rush of skimming over the waves is totally worth the price, but behind all this excitement runs a scam that used to be so common, it was an everyday occurrence. Eventually it got so much negative publicity that the players running it had to bring the scam down a few notches just to calm down the aggravated public. It still happens though, so be aware. The Scam is quite simple: You pay to ride the jet ski and when you come back they tell you that you broke it. Don’t be taken aback now. These guys take advantage of the innocence and ignorance of the confused tourist, to make them pay up for the alleged damage done to the jet ski. In reality, it was probably already broken before you took it out, and usually just domestic damage. THAILAND JET SKI SCAMMED EXPOSED! It is a simple scam that takes advantage of your unsuspecting nature. The best way of not falling into their trap is to simply be vigilant. Before you get on the jet ski, spend some time inspecting it. Take at least a good 5 min checking it out. Inspect the sides and the ridges as if you knew exactly what to look for. If you have a GoPro or a camera, even better! Take photos from a couple of sides and even a video, if possible. Include the jet ski guys in the video as well. And most importantly let them see you doing all of this. Problem solved! Now they know you have got the evidence, so there’s no point in trying to fool you. If after doing all this, they still claim there’s damage done and try to make you pay, then you better check again because you might actually have broken it by accident. But there’s no need to get too worried over this since accidentally damaging the jet ski is not a criminal issue. Which means the police doesn’t have much jurisdiction over the issue. So no need to blow steam, it’s just a civil matter. Find a local lawyer and fight the good fight. The sun, the sand and the sea makes phuket one of the most gorgeous islands to visit. However just like many of the tourist destinations, Phuket too has it own dark underbelly. And if you thought it’s always all sunshine and butterflies, well now you know.